In this photographic series by Jean Baptiste Joire we see Dakar's young creative agents in places in the city that inspire them. In his ongoing series Dakar Creatives, Senegalese photographer Jean Baptiste Joire takes pictures of the young creative in Dakar in places where they feel inspired. 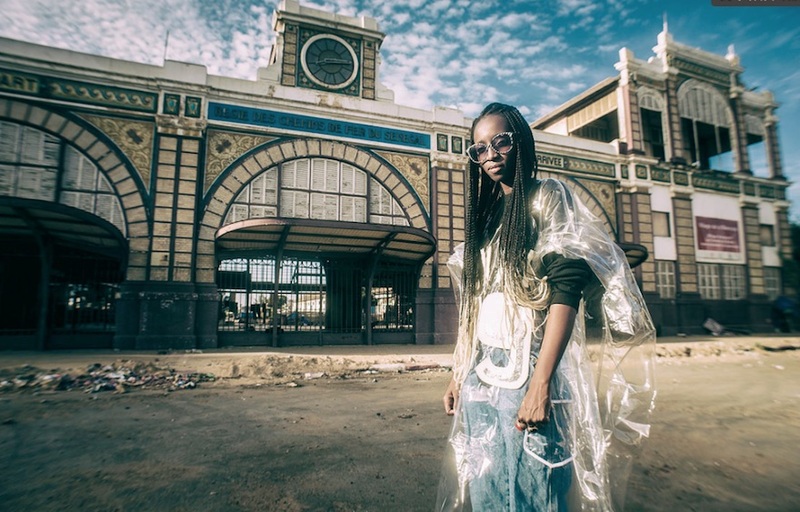 Fashion designer Selly Raby Kane is captured in front of the old Dakar train station. Joire has been a member of the city’s activist creative collective Les Petites Pierres for three years, and many of the characters who appear in this series are also members. The creative energy of Dakar is what has kept Joire there. Compared to most of its West African neighbours, Senegal is politically stable and has maintained its own cultural traditions since becoming independent. The common language in Senegal is the local Wolof, not a colonial language, and this brings a sense of unity among the people. Dakar’s artistic scene is evolving fast. The Dak’Art Biennial has been running since 1992 and has given Senegalese artists a well establish (and internationally respected) platform through which they can showcase their work. Joire also creates music videos, including music video for the producer Ibaaku, whose Afro-hypnotic electro beats have taken him on tour around the world. Joire has taken many incredible portraits of Ibaaku. Watch the video for "Monkey Boy" at the bottom of this article.